Naila Ayesh was eight when Israeli forces demolished her family home in Lifta, on the outskirts of Jerusalem, in 1969. The event was a harbinger of a life of oppression to come in Israeli-occupied Palestine. But for the young girl, who was forced to grow up fast, her sense of resistance never faltered. 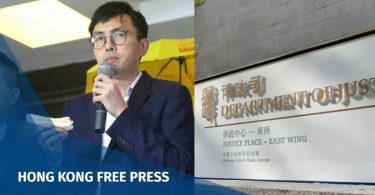 “It wasn’t a normal life for us,” the now 60-year-old told HKFP. For those who have grown up under occupation, it is difficult to fathom what a normal life is, beyond checkpoints, searches and military patrols. Ayesh said that even a 17-kilometre journey to Jerusalem can take up to five hours to pass through the various Israeli control points. 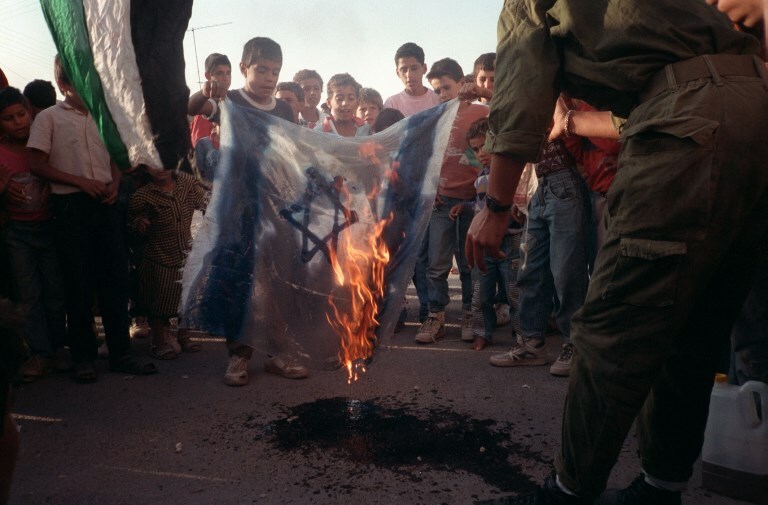 Palestinian youths burn an Israeli flag on October 29, 1991 in Jenin, West Bank, to protest the Madrid Middle East Peace Conference. The Madrid Conference was hosted by the government of Spain and co-sponsored by the USA and the USSR. It convened on October 30, 1991 and lasted for three days. Photo: Patrick Baz/AFP. Now, her story has been depicted in the hour-long documentary Naila and the uprising, which chronicles the life of Ayesh in the lead up to the First Palestinian Intifada from 1987 to 1993, of which she was part. The brainchild of Brazilian director Julia Bacha, the film at times makes for uncomfortable viewing. Ayesh recounts, in painful detail, her first miscarriage following several beatings in an Israeli prison, her husband’s exile from Palestine, and her son’s upbringing, confined to the four walls of a prison cell with his mother, after she was arrested for demonstrating. It is a harrowing story, beautified by intricate illustrations that depict a tale of bitter loss, resistance and unwavering hope. HKFP met her at her hotel, where she is visibly tired from media interviews. In order to fly out to Hong Kong, she had to travel from her home in Ramallah to Jericho, where she lumbered across a heavily militarised border into Jordan and boarded a plane. Buoyant but incisive, Ayesh tells her story with a zeal that makes it seems like it happened yesterday, only the violence she witnessed in the 1980s is still poignantly present today: two Palestinian protesters were shot dead by Israeli forces in the besieged Gaza Strip last Friday and, on Wednesday, it was reported that a Palestinian volunteer medic was killed by the Israeli army after they raided a refugee camp near the West Bank. The conflict between the Jewish state of Israel and Arab-populated Palestine is an ongoing struggle that some argue began in the early 20th century over territory. The 1967 war between Israel and neighbouring Arab countries left the Jewish state in control of the West Bank and Gaza Strip, largely populated by Palestinians. The two territories remain sites of continuing conflict between the two groups. Naila Ayesh. 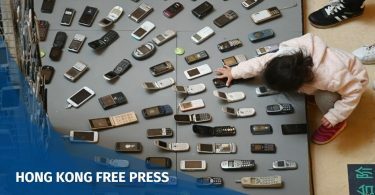 Photo: Jennifer Creery/HKFP. Naila and the Uprising takes a visceral look at the women behind the intifada who, faced with the pressure to provide under declining circumstances, must choose between their families and resistance against military occupation. 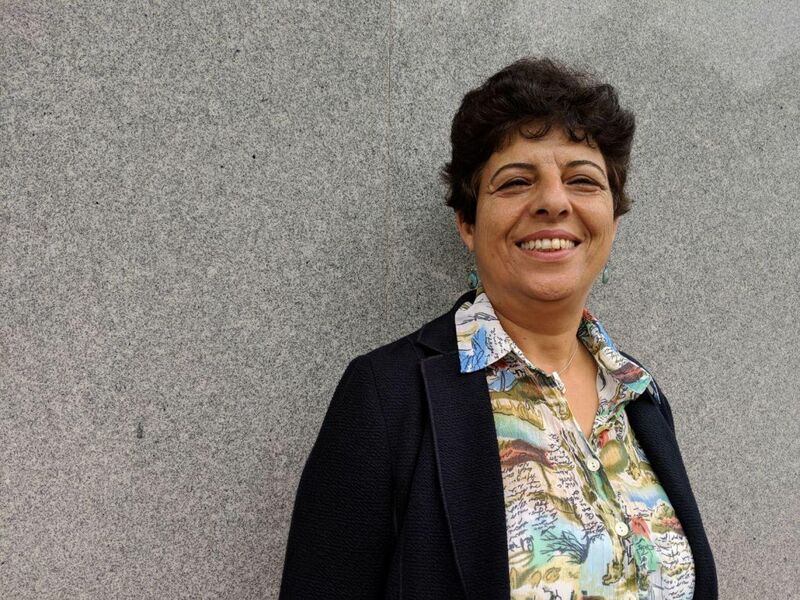 “We chose Naila’s story as the gateway to illustrate women’s leadership during the Intifada because it captures so much of a typical Palestinian woman’s experience – having to choose between family and the call to resistance while dealing with all the oppression of occupation, from prison to deportation,” Bacha told HKFP. The director said she found out about Ayesh through word of mouth from activists involved in the intifada, adding that Ayesh was initially hesitant to participate in the film, but soon saw the value of sharing her story, although it was deeply personal and in some respects painful. Naila and the Uprising was created by Just Vision and has been screened in dozens of cities across the world, including in Palestine and Israel. Ayesh was spurred on further into political activism in 1982, not on the streets, but among peers in classrooms at the Academy of Science in Bulgaria, where she met her future husband, Jamal Zakout – a Palestinian. The couple returned to Palestine and moved to Gaza, marrying in 1986 during a tense period in the lead up to the intifada. Ayesh became increasingly involved in grassroots organisations, joining NGO Save the Children as an officer for women and children. It was not long until Israeli police came knocking on her door. Ayesh was detained for 45 days for her activism, suffering a miscarriage after she was beaten and initially denied medical treatment. Following a public campaign headed by rights organisations, Ayesh was released, shortly before the start of the intifada. Naila and the Uprising uses archival footage that shows crowds of demonstrators who flocked to the streets in a series of explosive protests against the continued occupation. Bacha takes pains to break the conventional image of the intifada as dominated by men throwing rocks and instead offers one that delicately depicts the strategic importance of women, who grew their own produce to boycott Israeli goods and established makeshift schools to replace those which had been closed down by the authorities. Zakout was exiled to Egypt in 1988, shortly before Ayesh gave birth to their son, Majd. 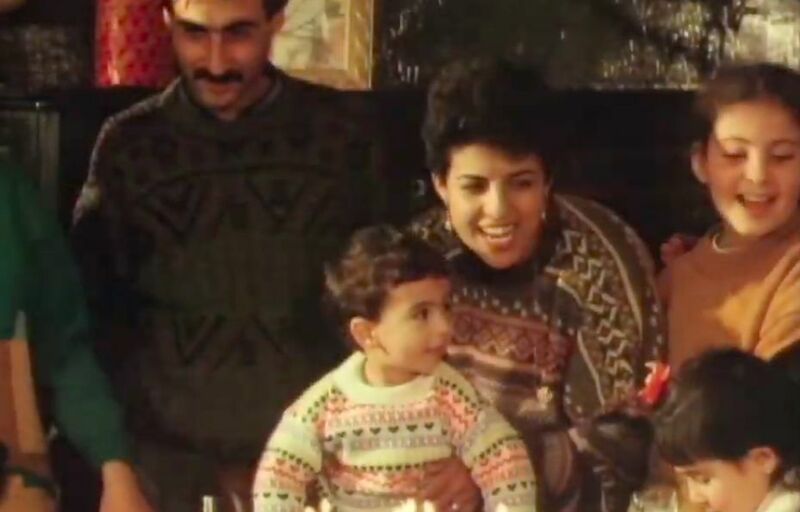 Not long after she was arrested for her role in the uprising and thrown in jail under “administrative detention” for six months, along with her baby boy, who was eligible to stay with her because he was under the age of two. Ayesh describes having to raise her son behind bars during his most fundamental years of development as traumatic. “The first tooth was in the prison. The first step was in prison,” she said. It is a difficult topic to broach for the steadfast activist, who has told her story many times, each no easier than the last. Naila Ayesh and her family. Photo: Screenshot. Ayesh was released from prison half a year later and joined her husband in Egypt on the condition that she remain there for two years at the behest of Israeli authorities. It was only until 1994 that she returned to live in Gaza a year after the signing of the Oslo Accords – a set of international agreements that sought to ensure the right of the Palestinian people to self-determination. But in spite of the peace treaty, relations between Israel and Palestine continued to deteriorate. “Things are going so bad, especially as Palestinians are not united anymore. Gaza is divided,” Ayesh said. In a move in 2017 that incited anger among Palestinians, United States President Donald Trump declared Jerusalem to be the capital of Israel, sparking an international backlash and sounding the death knell for a two-state solution, according to Ayesh. 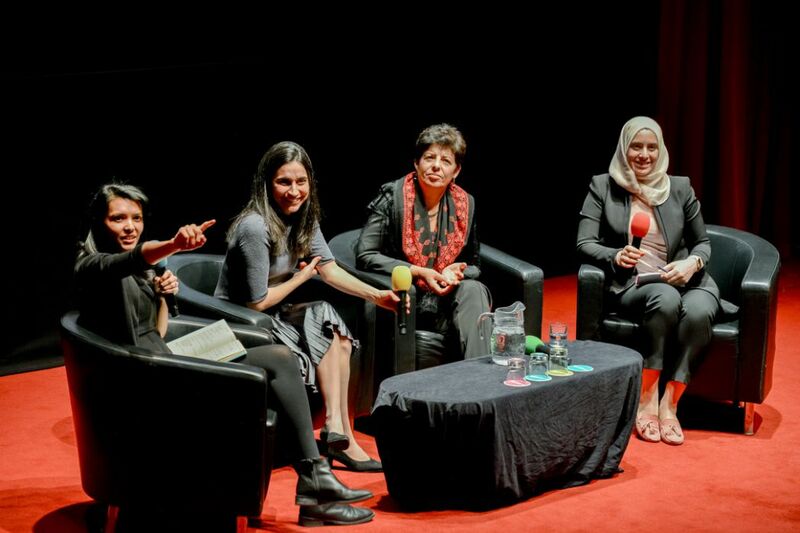 Julia Bacha (centre-left) and Naila Ayesh (centre-right) at a Q&A at the Human Rights Watch Film Festival in London in March 2018. Photo: Esperanza Moreno. Looking to the future, Ayesh is cynical about a peaceful resolution without the support of the international community, who she said had been stymied by pro-Israeli efforts from the US to curtail a peace process.